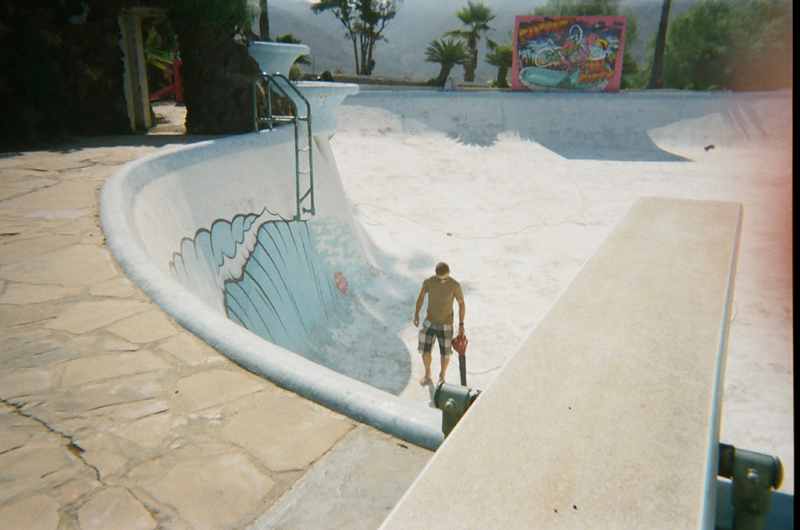 Pool shredding might be the most disposable form of riding. 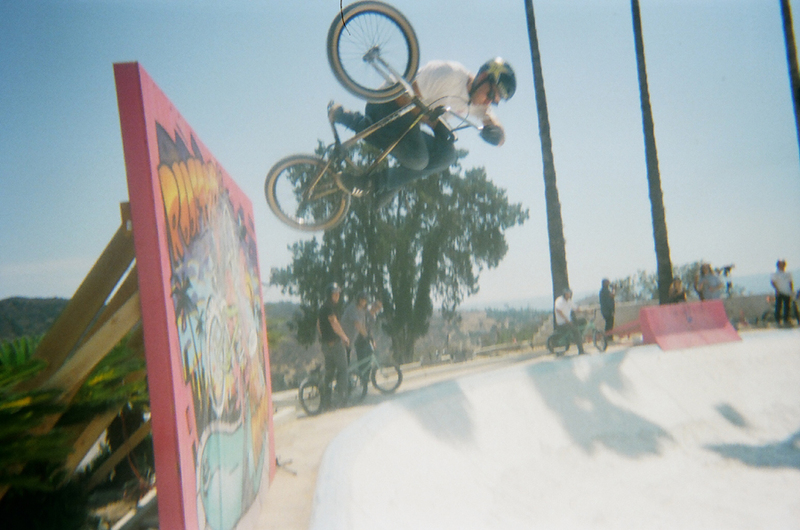 Other than trails, I can’t think of any another aspect of BMX that is so short lived. 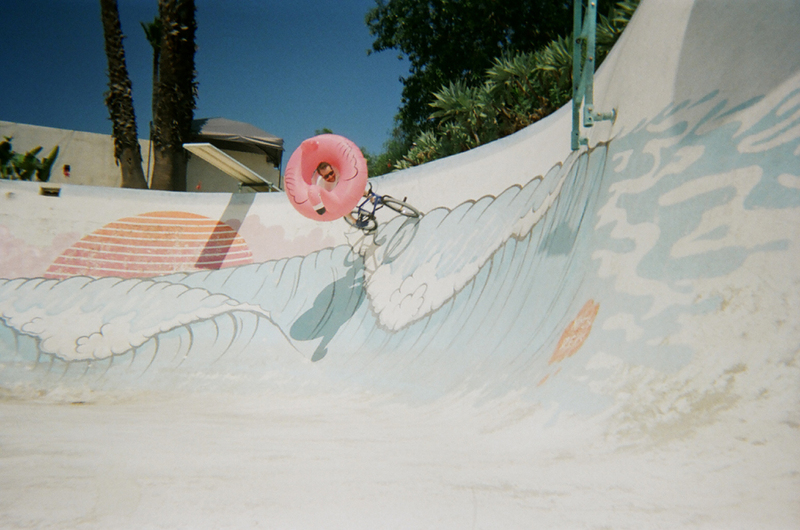 It’s pretty nuts how much effort backyard pool riders put into something that is never guaranteed. I think that’s what makes it so beautiful. 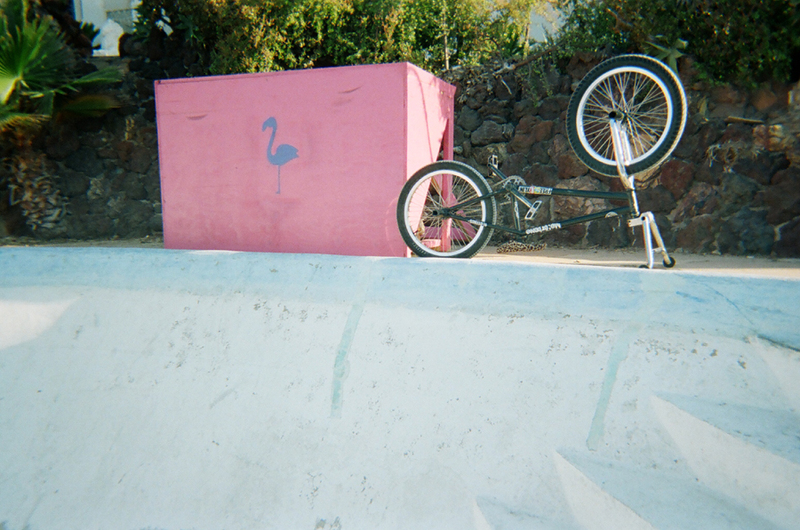 Pool riding is pure, raw, and real. With that being said, the lust for blue tiles will bring you to the wildest locations! 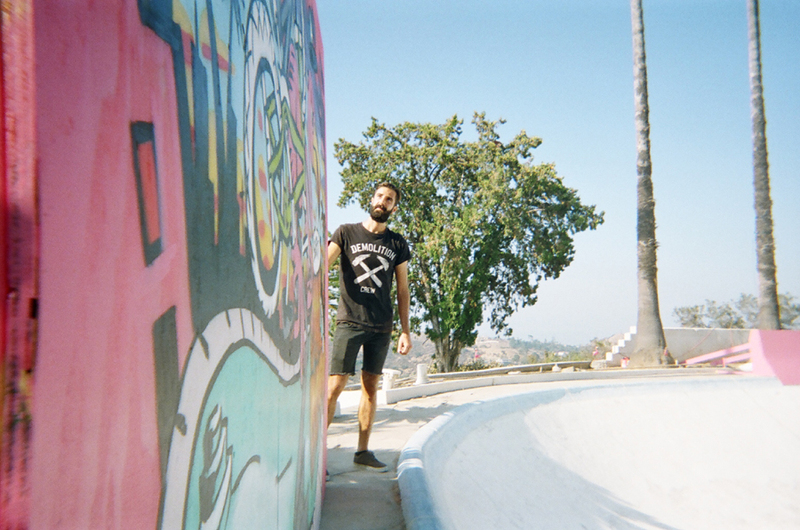 Last Summer I drove down to HB to hang with friends during the Van Doren Invitational. During my visit Mike “Rooftop” Escamilla asked me if I could help him with a pool party session. He didn’t give me much details and he was being super secretive about it all. The only words I really remembered him firing off during our conversation was PERMISSION POOL PARTY SESSION! I told Mike to sign me up and I’d see him first thing in the morning. 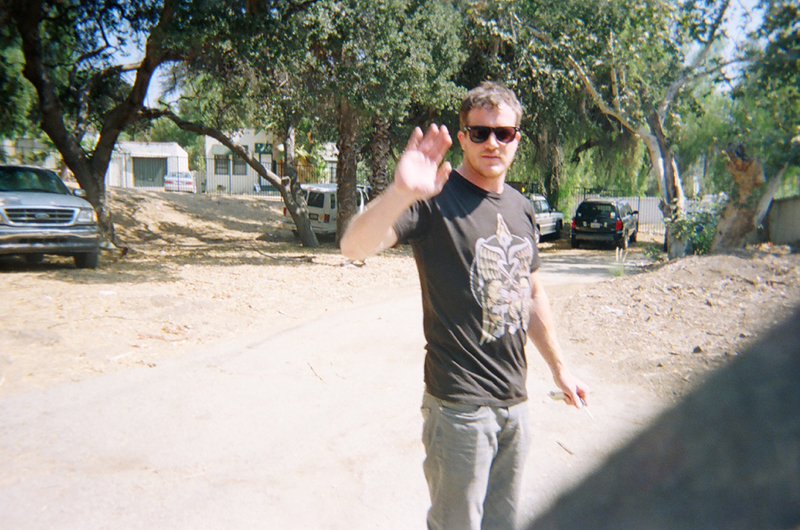 7am bright and early I waited for Mike at the front gate entrance to his Secret Pool Party. Shortly after my arrival, Rooftop rolls up with Andrew Lazaruk in what looked like a stolen Jeep. I jumped in the rig and we blazed up the mountain on a steep and narrow road. As predicted, Mike was pretty amped up. While we drove up the mountain Rooftop gave Andrew and I the lowdown. 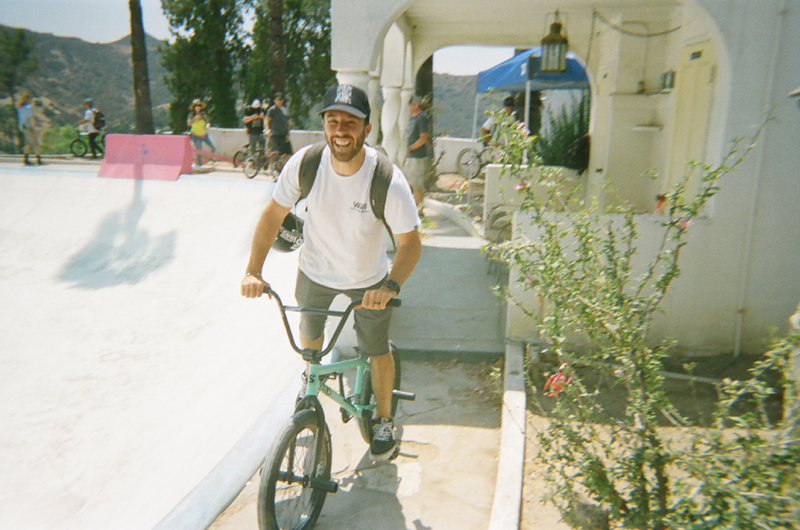 Mike rented out the location for a secret pool party session and GoPro was going to live stream the sesh on RIDE BMX’s Facebook page. Pretty damn cool if you ask me! When we finally made it to the top I was completely mesmerized by the setting… I had never seen anything like it before. 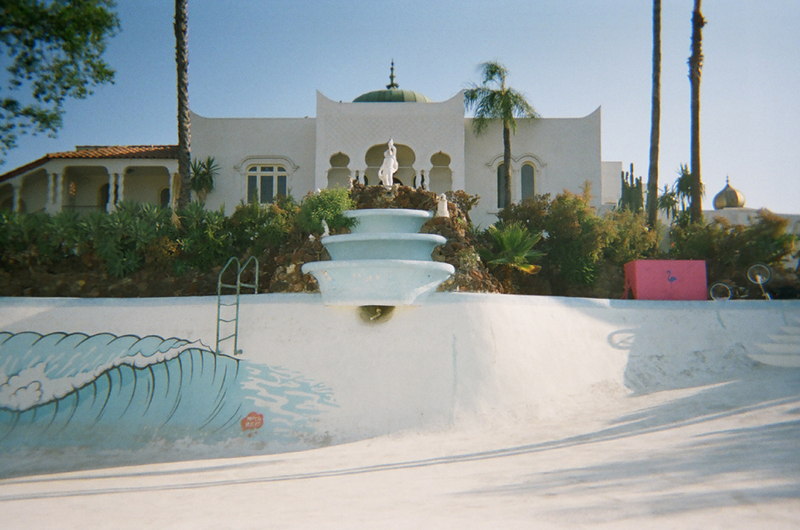 At the peak of the mountain sat a beautiful mansion with massive palm trees surrounding the world’s largest backyard pool. Apparently, the pool holds up to 250,000 gallons. That’s 12 times larger than the average pool. INSANE! 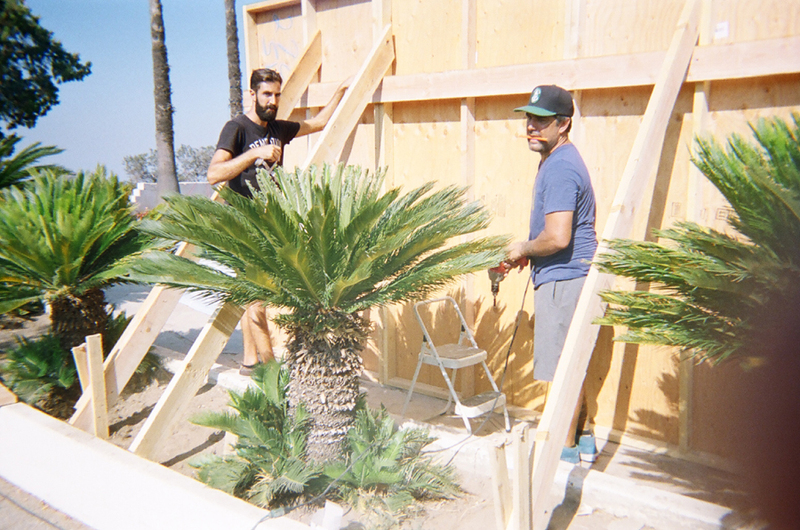 That day Andrew and I along with a few others helped Mike setup the ramps and coordinate some shots for the GoPro production team. Once we were done with our pool party duties Mike said we could ride. STOKED! Pretty hyped to have taken some runs with BMX legends such as: Dave Volker, Dave Osato, and Dave Fremieth. Damn! That’s a lot of Dave’s. 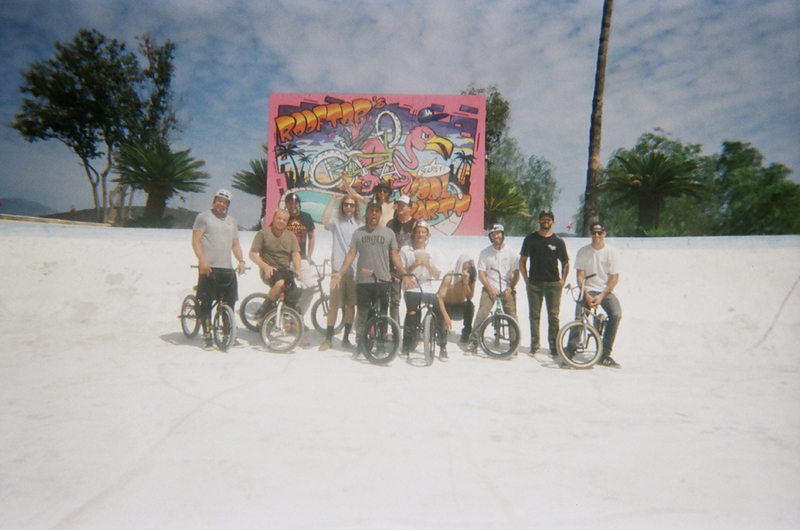 The session also included: Dakota Roche, Dennis Enarson, Van Homan, Gary Young, Chris Doyle, Tyler Fernengel, Greg Illingworth, and many more! 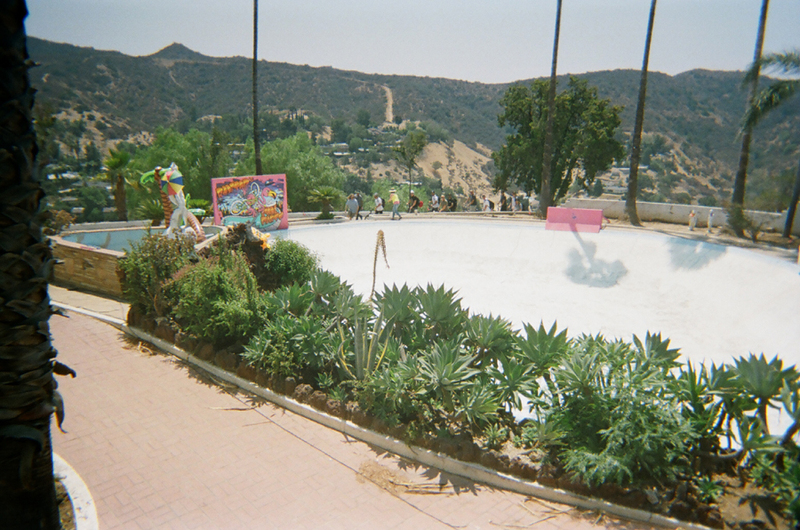 During this all-star pool party sesh I shot off 27 exposures on my Kodak 35mm One-Time-Use Disposable Camera. 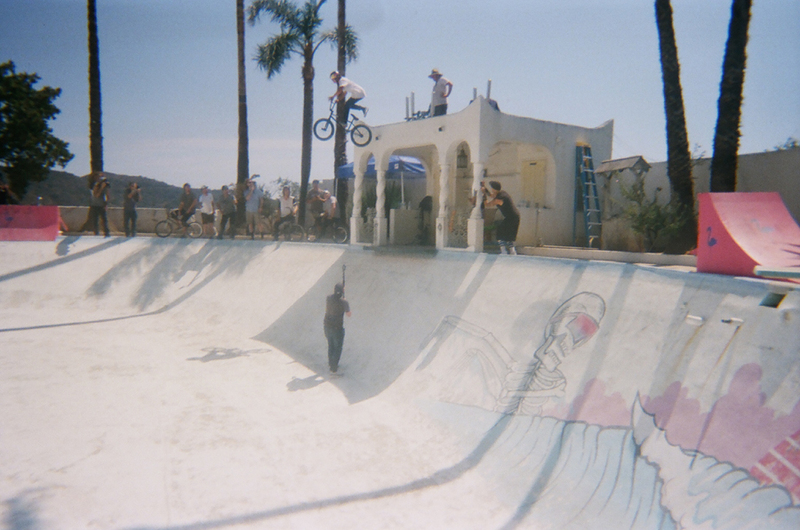 I had a just as much fun documenting the sesh as I did riding the pool. 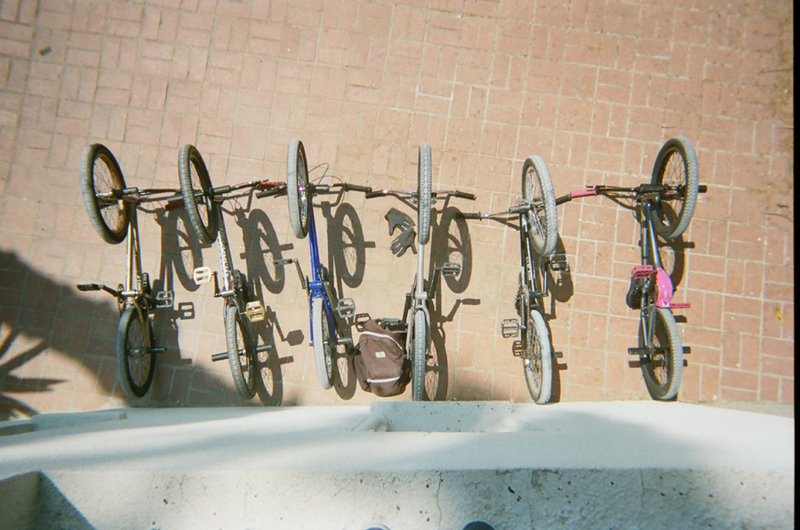 I’m pretty sure I was the only one there shooting actual film. In some ways I felt like an anti-hero shooting disposable film around an entire GoPro media team. I love how accessible technology has become but for me nothing can beat the feeling of hoping a fence and firing the shutter on a cheap throw away camera. 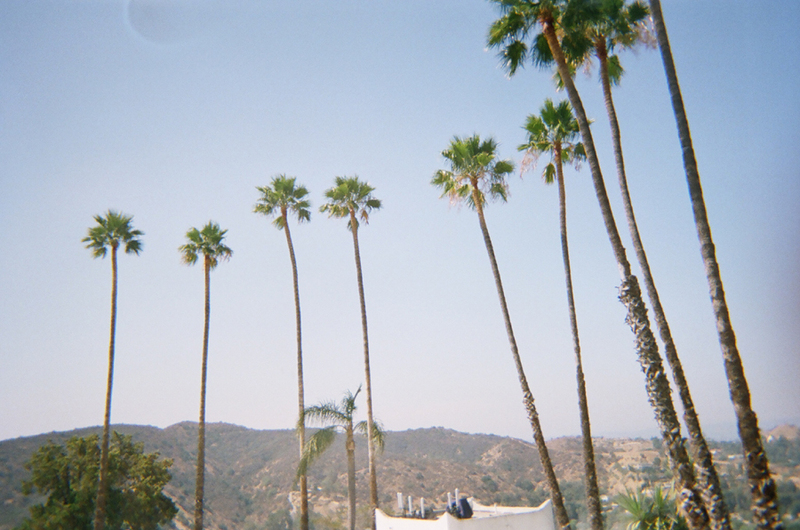 Like pool riding, the element of surprise once you develop a roll is pretty magical. Often times the results can be ugly but the grittiness has a unique charm. The art of finding beauty in creative imperfections is a rewarding path. Call it what you will but film photography and backyard pools is the ultimate experience. I want to thank Rooftop for keeping the adventure pure, raw, and real. It’s pretty nuts how much work he put into this event. We live in a digital world and nothing lasts forever. 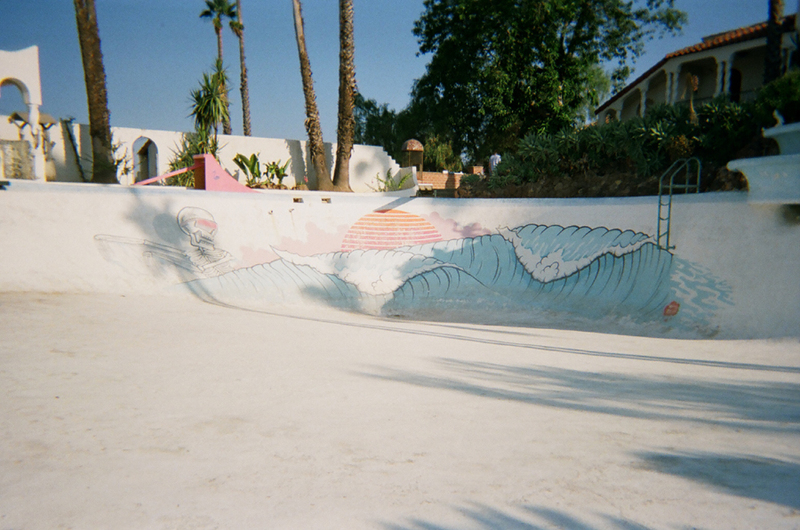 Pool riding is disposable and I’m glad I was there to document it! This entry was posted in Events, Photos and tagged 2016, Andrew Lazurak, California, Chris Doyle, Dakota Roche, Dean Dickinson, empty pools, Gary Young, go pro, Ian Morris, Mike Escamilla, pools, Ride BMX, Robin Fenlon, Rooftop, Rooftops Pool Party, Tyler Fernengel, Van Homan. Bookmark the permalink.